Keste Pizzeria is a dedicated Neapolitan pizzeria. In the Neapolitan dialect, it means “this is it,” and anyone who bites into their scrumptious pizzas will feel the same too about this pizzeria. 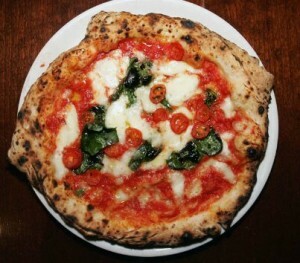 To retain the authenticity of the Neapolitan pizza, pizza makers were flown in from Naples so that the highest standards of Neapolitan pizza-making could be established and followed. The owner, Roberto Caporuscio, formerly a dairy farmer and cheese salesman, is so obsessed with procuring and using only authentic ingredients and conventional cooking methods that today, he presides over the American chapter of a body that certifies pizza makers. A few alternative cheap New York restaurants are Whitmans and Lombardi’s pizza.